If you are still with me on this sentimental journey you may have noticed that I am cheating to get many memories squeezed into a list of 10. I am going to do so again here. In the late 1970s community college journalism instructors realized that every time they got together it was to run a regional or state conference/convention for students. And because of the dominant volunteer structure of the organization, it meant they had no time to just sit down and talk about teaching. So in 1979 the organization held its first Mid-Winter Faculty Conference at –where else?— the Hacienda Hotel in Fresno. The middle-of-the-state mindset, along gasoline shortages, led us back to Fresno in February. In the early days, it was the “must attend” conference, if for no other reason than to attend the Sunday morning annual legal update by CSU Fullerton media law instructor Wayne Overbeck. We all learned so much about media law over the years from Wayne and stayed current with legal cases that might impact our programs and how we advise. When he retired from teaching his replacement at Fullerton, Genelle Belmas, another true friend to community colleges, stepped up. After she left Fullerton we had to look around for someone else. That portion of the conference has since been discontinued. We had good turnout at the early conferences, but after a while we started losing some folks who instead chose to attend conflicting conferences sponsored by the national Associated Collegiate Press. We had gotten good at posting notes, especially the law updates, online, so it was possible to miss the conference and stay informed. To counter the conflict with ACP we moved the conference to January, which created different sets of conflicts with faculty. The numbers never really recovered. In recent years, a constant turnover of ownership of the Inn at Morro Bay created enough problems that we moved the conference to Pismo Beach. In even more recent years, the conference has been scheduled in June instead of during the school year. This appealed to another group of harried instructors, but numbers still never recovered to the glory days when most full-time and quite a few part-time community college journalism instructors attended. Many of today’s journalism advisers who have never attended one of these conferences don’t know the value of having time to discuss teaching with fellow-discipline instructors; they just know that their colleges won’t pay the way there and it is both a financial and time sacrifice to get away. Having time to talk about teaching was great, but after a while we realized that the 60- to 90-minute workshop format, while useful, had no room for some teaching topics that required longer learning formats, such as learning new technologies. Up stepped Rich Cameron with one of his many ideas. In June 1989 I was the only community college instructor to be invited to participate in a special week-long workshop for an international group of journalism instructors at the Poynter Institute in St. Petersburg, Florida. It was a life-changing week for me. In the workshop, co-led by now good friend Sylvia Fox, our “blue ribbon” group was asked to create a journalism program from scratch (no legacy issues to deal with) for a fictional university. We were so smart and sure of ourselves that we finished our task in half the time we were given, leaving us time to enjoy the beach. Or so we thought. Mid-week, a journalism school administrator was brought in to review our proposal. His job was to reject whatever we came up with. He did so, soundly. Dejected, we could give up or we go back and try again. On our own we secured a conference meeting room at the hotel we were all staying in and worked late into the evening to come up with an alternative proposal. I had lugged my bulky Macintosh Plus computer across country with me, so I became the secretary. We had to work hard to complete the task on time. It was such a great experience that I thought I could bring it back to California and JACC. I talked the JACC board into ponying up the expenses for a three-day pre-Morro Bay Conference workshop and invited some of the movers and shakers from JACC to attend. We recreated a shorter version of the scenario –sans the administrator rejecting our ideas—for a new fictional community college in the Morro Bay area. 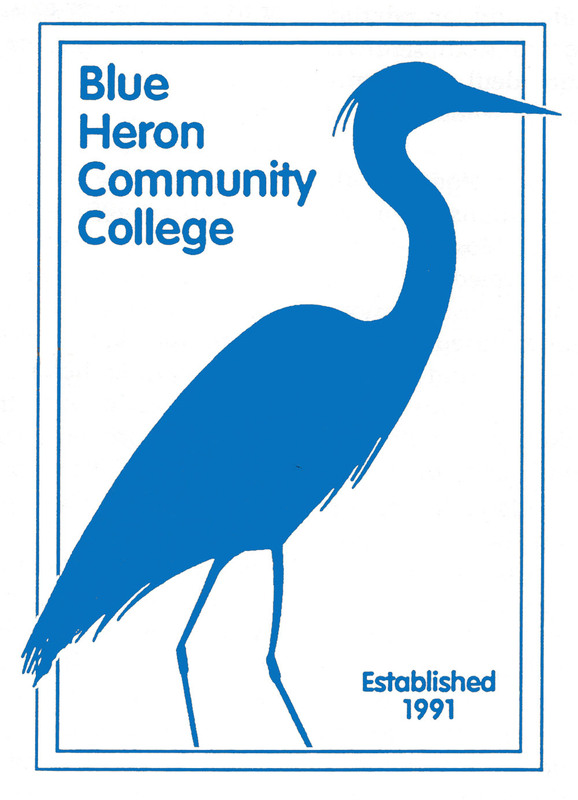 The Inn at Morro Bay sits next to a government-protected Blue Heron rookery, so we called it Blue Heron Community College. We followed with a major printed report that was distributed to all colleges. A few of them even adopted some of the ideas that emerged from the workshop. That format, however, was unsustainable without a different financial backer. What WAS sustainable was adding a one-day pre-conference workshop dedicated a single topic for those who could afford the extra hotel night. Over the years, we taught instructors topics such as creativity, HTML coding, video storytelling and editing, audio editing, social media, and more. I taught most, but not all of them. Alas, as numbers dwindled for the main conference, so did they for the new Blue Heron workshop and it no longer exists.